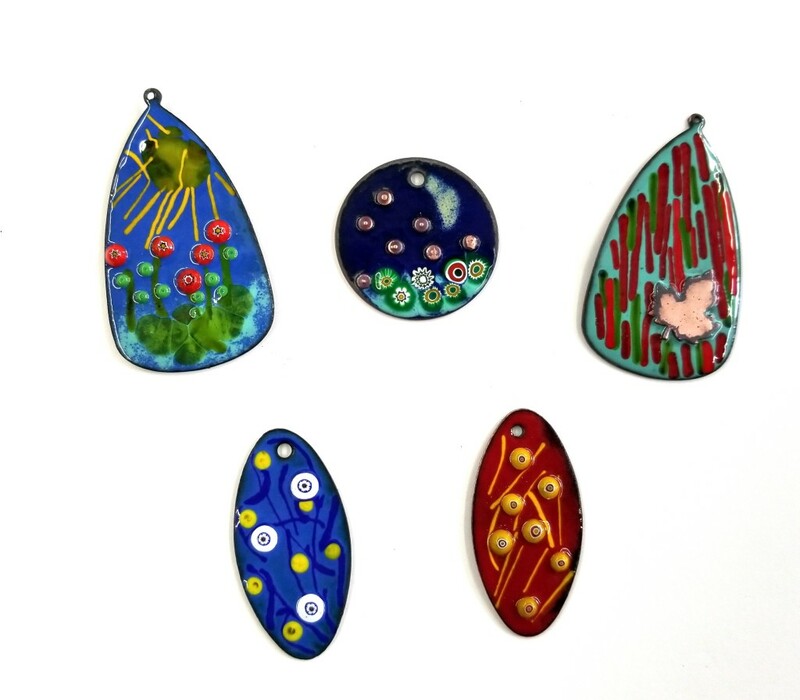 Enameling is the art of fusing powdered glass to metal at high temperatures, using a kiln. 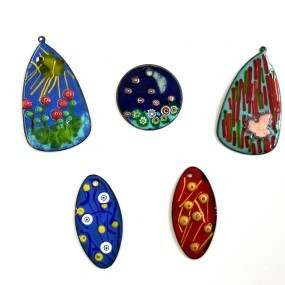 In this course you will learn to: prepare copper for enameling, make several sample pieces using a range of techniques, explore the use of opaque and transparent enamels, and use decorative inclusions - frit, glass threads, millefiori, and copper wire. Supply fee $40 payable to the instructor the 1st day of class.